The new HP TopShot LaserJet Pro M275 solves a problem you probably didn’t think would have a solution: how to create a digital image of a three-dimensional object without having it look funny. A traditional flatbed scanner can’t handle the task, and a digital camera tends to flatten everything (assuming that you can get the lighting right). The TopShot LaserJet Pro M275 ditches traditional scanners for a camera elevated on an arm positioned above a white platform on top of the machine. You place an object on the platform, and the camera quickly takes six photos of the object: three at different angles with a flash, and three at different angles without a flash. The TopShot then sorts through the multiple images and selects what it needs--a contour here, a shadow there--to create a single image that looks more three-dimensional than a regular, single digital image would. It can print this image as an instant copy or save it as an electronic file on a connected PC. 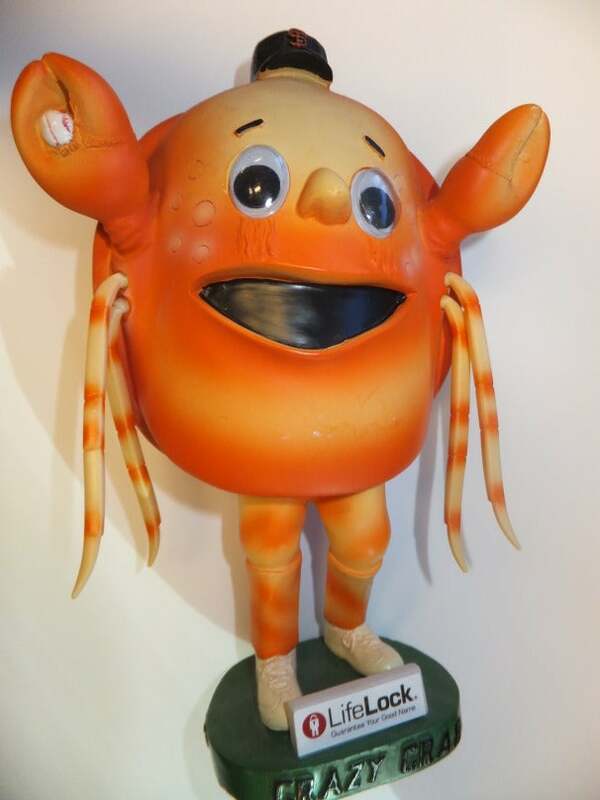 We tried scanning a figurine of Crazy Crab, the San Francisco Giants' infamous former mascot. 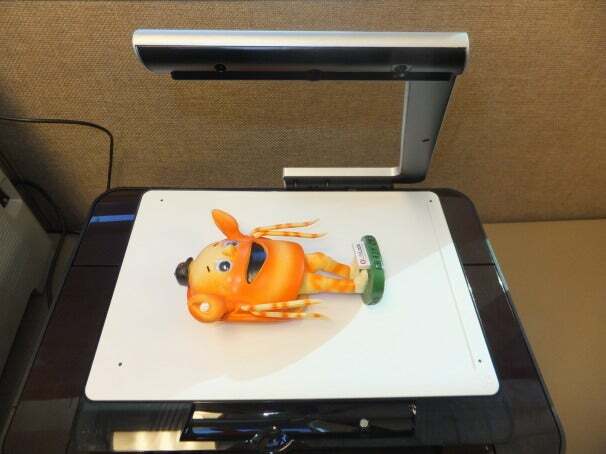 The photo below shows Crazy Crab lying on the TopShot’s platen, ready for his close-up. Here’s an image taken with a conventional camera. Below is the image taken by the TopShot. 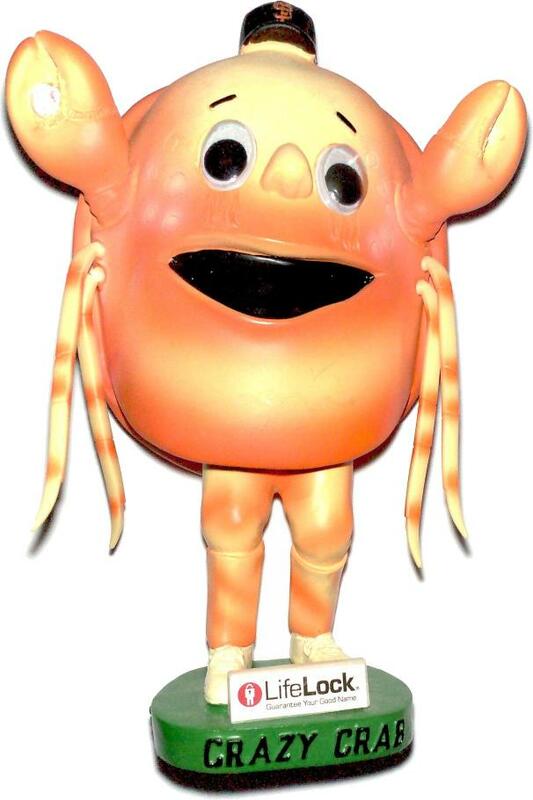 As you can see, the TopShot has overexposed much of Crazy Crab’s surface, though he does look a bit more three-dimensional. The printer did a much better job scanning a pear, as you can see in our GeekTech blog. I’ve already noticed several things about the TopShot's performance. Objects may scan larger than they appear: If you make a copy of a 3D object, you’ll notice that it sometimes expands in size. The object can’t be too close to the camera: The camera stands about 8.5 inches above the platform. When I placed an 8-inch object on the platform, the 3D copy came out severely overexposed (from the proximity of the flash, I assume) and hugely magnified. When I tried the same object as a scan to .jpg format, the driver turned it into a series of amorphous and unidentifiable image fragments. When I tried a slightly shorter object, I got the same overexposure, but the image was more identifiable. An object less than half of the camera’s height scanned without any major problems. The TopShot LaserJet Pro M275 can also scan or copy plain old flat documents, of course. It still appears to take the same six photos, which seems like a waste, but the copies look fine. I have a lot of questions for HP after trying this product for a few hours. Stay tuned for the answers in our full review, coming soon.